The school district is creating a new high school newcomers program at both Eastside High School and John F. Kennedy High School aimed at providing native language instruction to Spanish, Bengali, and Arabic speaking students. Spanish newcomers program will be implemented for freshman students at Eastside High School in 2019-20 school year. In each successive year, from school year 2020-21 through 2022-23, the school will expand the program to 10th, 11th, and 12th grades. 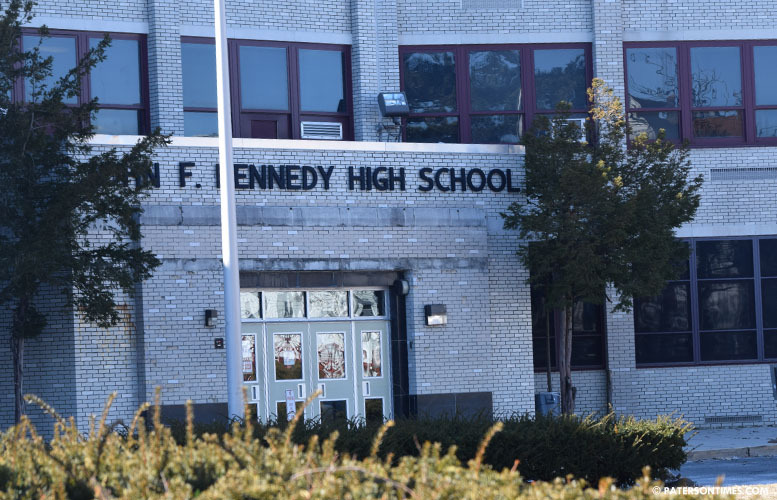 Arabic and Bengali newcomers program will be put in place for ninth graders at John F. Kennedy High School in the 2020-2021 school year. It will be expanded over the next three school years to cover 10th through 12th grades. “The newcomers high school will greatly benefit students in the district. It will target students’ academic needs, address social and emotional needs, decrease chronic absenteeism, and increase our graduation rate,” said Lourdes Garcia, director of bilingual, ESL, and world languages department at the Paterson Public Schools. Garcia said immigrant students as a whole have lower graduation rates and high rates of chronic absenteeism. Students for the new program will be identified through a language assessment, she said. Students in the program will receive language arts, math, social studies, and science instruction in their native language. There’s also a period of English as a second language instruction, according to documents provided to school board members. Newcomers will interact with native language students during gym and health, she said. Garcia presented the new program to the school board last Wednesday. School board member Vincent Arrington asked about exit criteria. Garcia said students will be evaluated yearly. Teacher recommendation, grades, attendance, and multiple assessment measures will determine whether a student meets the requirement to exit the program. She said students will ideally be in the program for two years. Longtime school board member Jonathan Hodges wanted to see academic performance data for students, who came from elsewhere and are not receiving native language instruction. These students are enrolled in ESL programs, but do not receive native language instruction for such things as math and social studies. “Students come and have a tendency to fall behind,” said Hodges. Deputy superintendent Susana Peron told Hodges the district’s assessment department is compiling the data for him. “I think it’s a phenomenal program. I think there’s definitely a need in the City of Paterson. A lot of students come in at high school level that need that extra support and resources,” said school board president Oshin Castillo. High schools in the district have 4,000 Spanish, 300 Arabic, and 300 Bengali-speaking students who could benefit from the program. The district created a newcomers program for Spanish-speaking students in elementary school in 2015. That program has been moved to the New Roberto Clemente School and has 75 students, according to officials. That's what they do, they teach them English, but the instruction in coursework is in their native language so they do not fall behind. Imagine you had to take a social studies class in Spanish or Portuguese and you didn't understand anything . they didnt explain that, so i understand, thats great! the longer they stay in school and learn the further they will go in life. This is loong overdue. Perth Amboy was light years ahead of Paterson in terms of bilingual education. Many schools violate the law because they have 20 or more students that speak spanish etc and no bilingual class.